It's important to know when to fertilize your flower and vegetable gardens. If you over-fertilize, you can end up with mostly foliage or risk killing the plants. Timed right, your garden will flourish. According to Michigan State University Extension (MSUE), there's a risk of over fertilizing perennial flower gardens. You can easily recognize these plants. They grow leggy, leafy and have few to no blossoms. 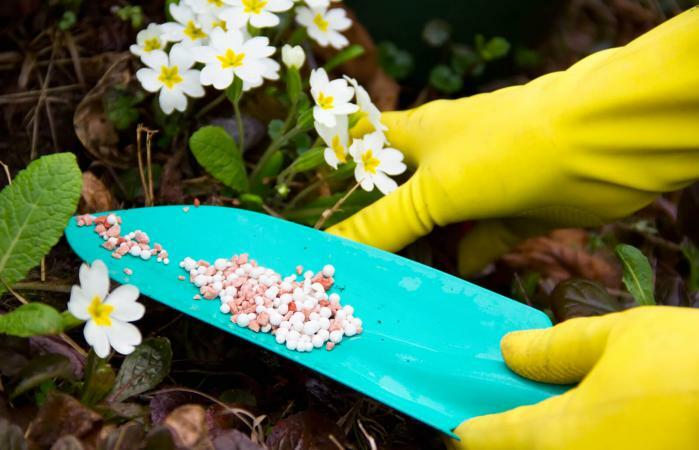 What Is in Gardening Fertilizers? The good news is most flower gardens with healthy soil won't need much fertilizing if any. If your soil isn't as healthy as it needs to be, then you should fertilize perennials just as the new growth emerges from the ground. That's usually all you'll need to do. There are some perennial exceptions that benefit from two feedings. It's recommended that the first feeding be done with a time release fertilizer to provide nutrients throughout the entire growing season. According to MSTU, the second fertilizer should be liquid for quicker delivery. This can be done as a side-dressing to avoid burning the plant. Some perennials that benefit from two feedings include daylilies, tall phlox, chrysanthemums and peonies. You can have beautiful profuse blooms for annual flowers right up until the first frost with consistent fertilizing. Unlike perennials, most annuals need to be constantly fed throughout the growing season. Rebecca Finneran of MSUE explains that annuals that aren't native to your region, such as tropical or semi-tropical plants, have a higher nutrient need and require more frequent fertilizing. There are all types of fertilizers that you can use. Some are granular that you broadcast over a moistened ground. Others are mixed with water to use as a side dressing or spray. You can opt for time-release fertilizers with a range of three to four months or five to six months. Depending on when you first apply the fertilizer, and the range selected, Finneran advises you may need to reapply before the first frost to ensure abundant blooms continue. Just keep in mind that too much fertilizer will cause the plant to overproduce foliage, under produce blooms and grow leggy shoots instead of strong sturdy ones. You can try using a combination of liquid fertilizer with a slow release one for flowers that are heavy feeders. 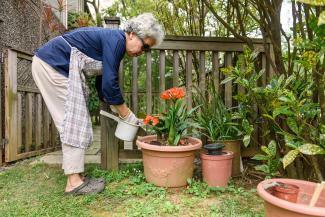 There are many people who maintain perennials as well as annuals as potted plants. For example, begonias are a favorite potted plant perennial. According to the American Begonia Society, you should use one-fourth the strength of liquid fertilizer diluted with water so you can feed the begonia once a week throughout the growing season. This method ensures you don't over fertilize and provides a steady stream of nutrients to the plant. This diluted strength of fertilizer given on a weekly basis is a good rule of thumb for most potted flowers. You should always check the tag that comes with a plant or bulb, or if you are growing from seed, the information printed on the seed packet. 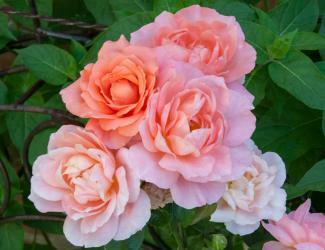 Roses: Fertilize roses in monthly applications in May, June and no later than mid-July. This cut off time is to prevent new growth beyond fall so the plant can properly harden off before winter. Wildflowers: You'll need to fertilize wildflowers as soon as new growth emerges. If you're planting a flower bed or raised bed, be sure to add fertilizer during the soil preparation stage. Some vegetables have a higher need for fertilizers than others. A field garden will have a greater runoff and loss of nutrients whereas a raised bed or container garden won't. Slow release fertilizer is best for all three types of gardens to provide a constant supply of nutrients. Should a vegetable require additional fertilizer between feedings, you can augment with a fish emulsion spray. However, too much fertilizer will result in leggy plants, heavy foliage and poor vegetable production. Tomatoes and peppers: These heavy feeders need feeding once a month during the growing season. Okra: Fertilize okra a couple of times during the growing season, once when it first starts blooming and once a month afterwards. Pole green beans: These and other beans don't need much fertilizing. If you add amendments during bed preparation, you can top dress the soil at the time you plant the beans. This should be sufficient since green beans produce nitrogen and return it to the soil. This is why corn (a heavy nitrogen eater) and green beans are planted together as companion plants. Corn: With a high need for nitrogen and phosphorus, a fertilizer should be applied when preparing your garden location for corn. After that, you'll need to side-dress with fertilizer. 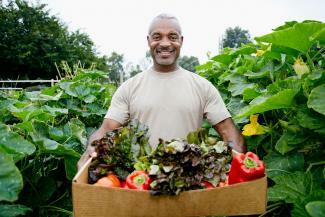 Other vegetables: The majority of garden vegetables should be fertilized once a month. You can use a side-dressing, or a liquid fish emulsion sprayed directly on the leaves for quick absorption. You can follow general fertilizing guidelines and have successful flower and vegetable gardens. For more specific nutrient requirements, it pays to research individual flowers and vegetable needs.